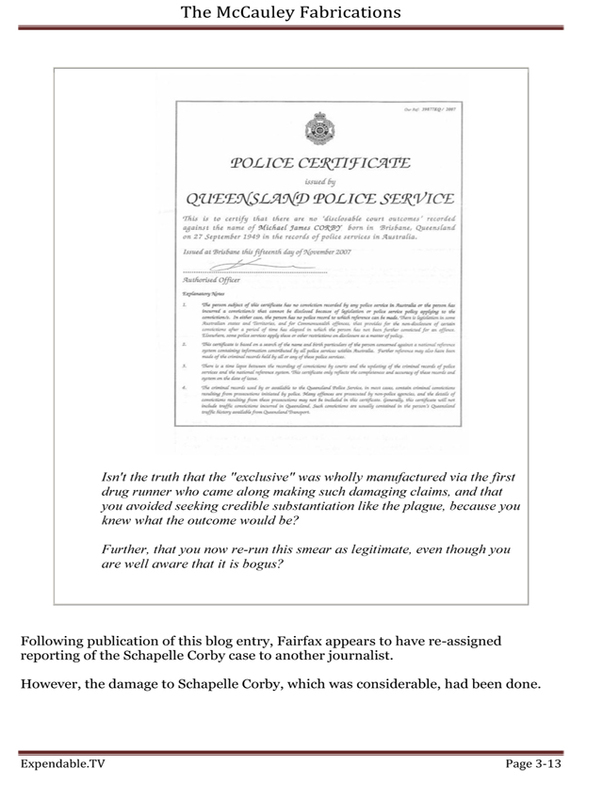 The latest fabrications, disgracefully published by Allen & Unwin, will cause yet more damage to the seriously ill Schapelle Corby. It is important, therefore, that anyone considering the purchase of this 'book', is aware of the previous track record of Eamonn Duff. 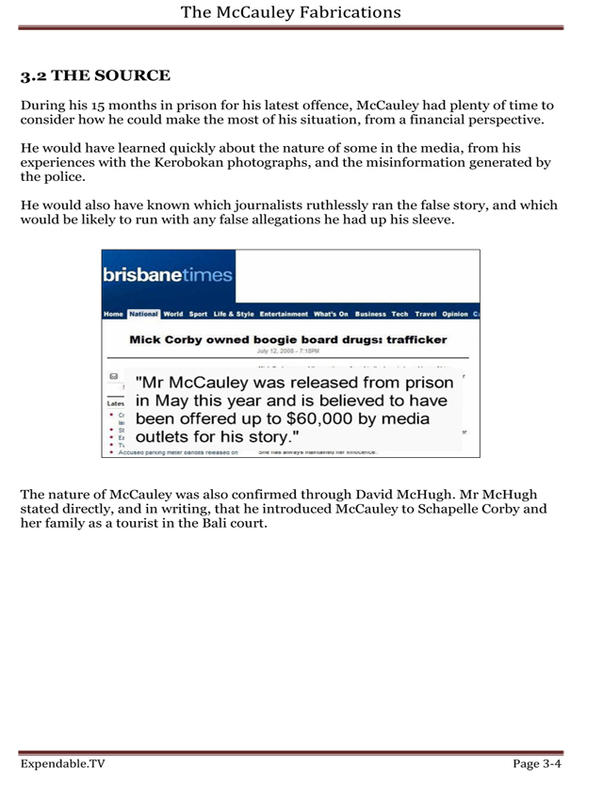 Consider how Duff constructed his stories for Fairfax Media. Consider the information he omitted. Consider his sources. 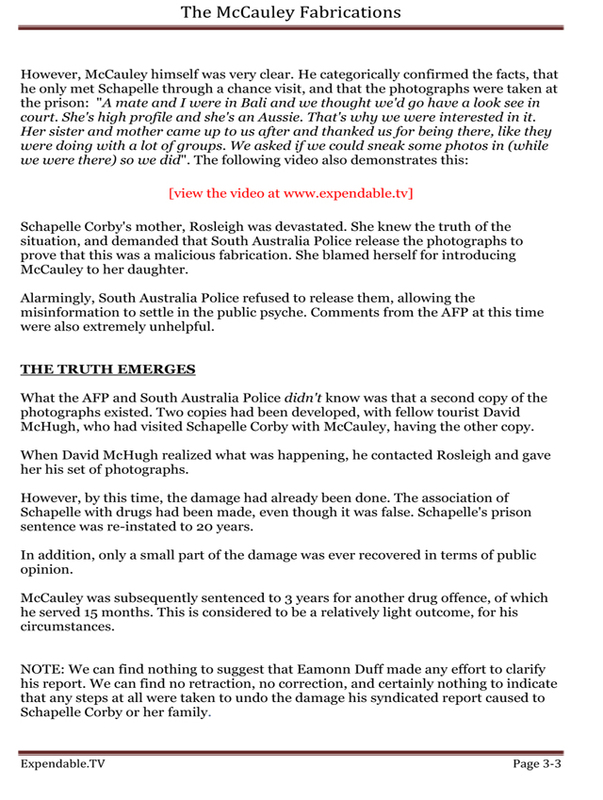 Consider the harm to Schapelle Corby and her family. 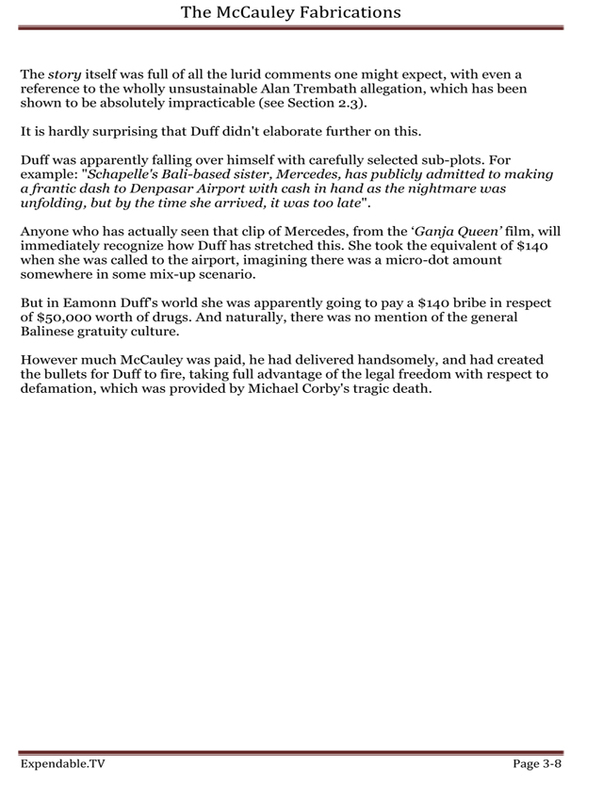 Fortunately, The Expendable Project have also researched Eamonn Duff, in depth. 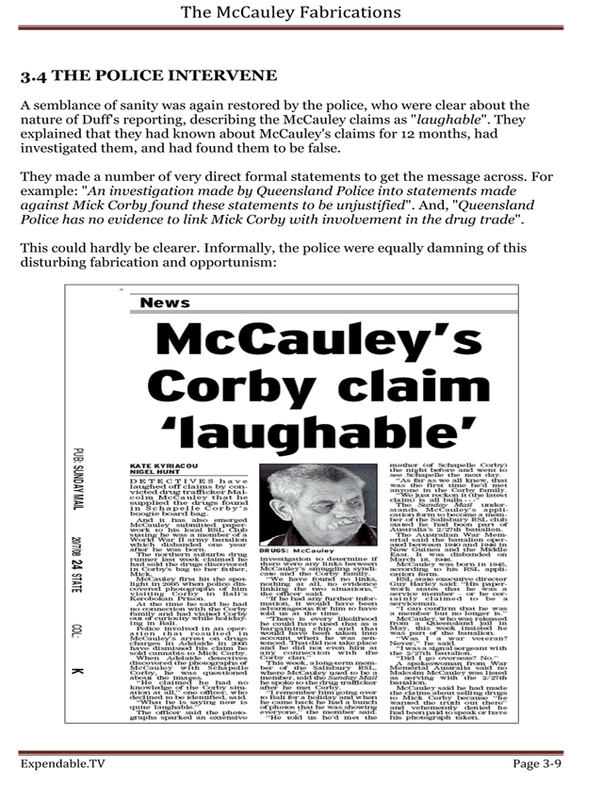 They have researched his previous work on Schapelle Corby. 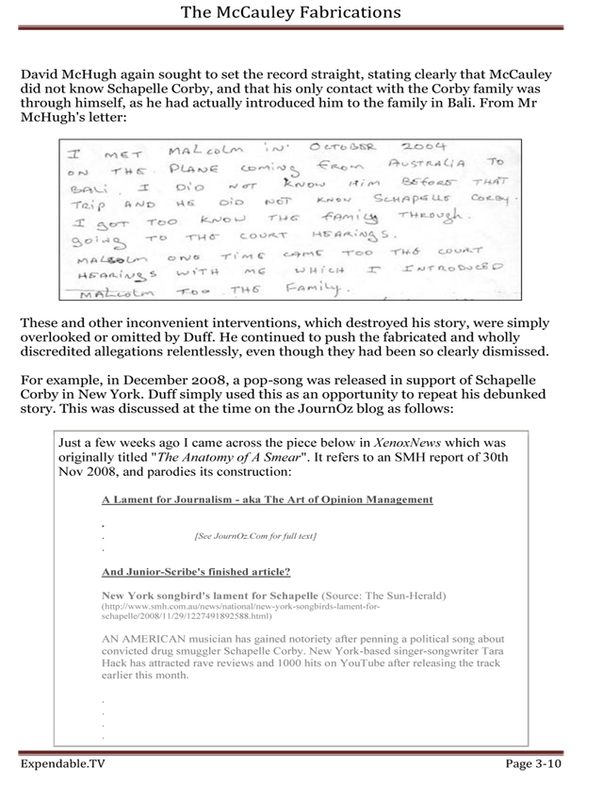 How anyone could do this to a mentally ill woman, and her courageous family, is beyond comprehension. How the media could run this, yet hide the government's cables and letters from the public, is also beyond comprehension. 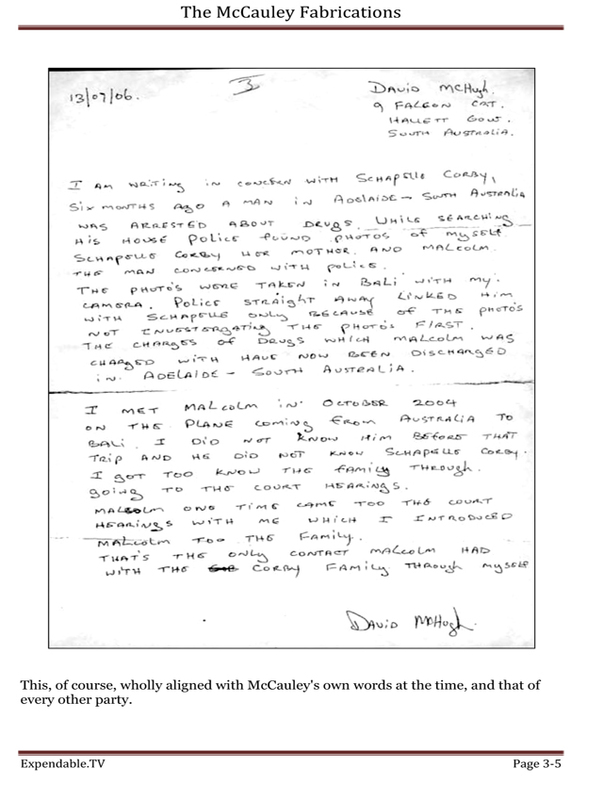 They have black and white proof that 5kg was added to the weight of Schapelle Corby's bag after she checked in. They have black and white proof that her boogie-board bag was the only one not scanned at Sydney Airport. 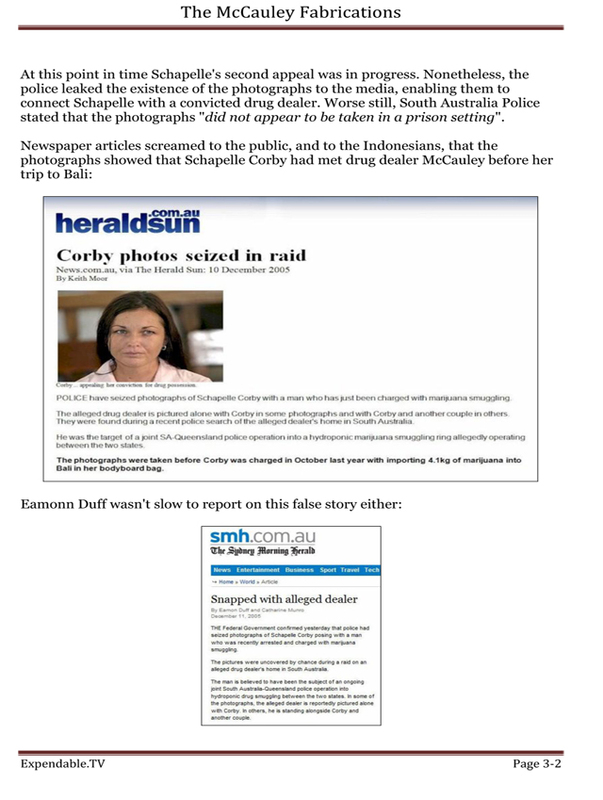 They have black and white proof that Schapelle Corby's lawyer wasn't told by the government. 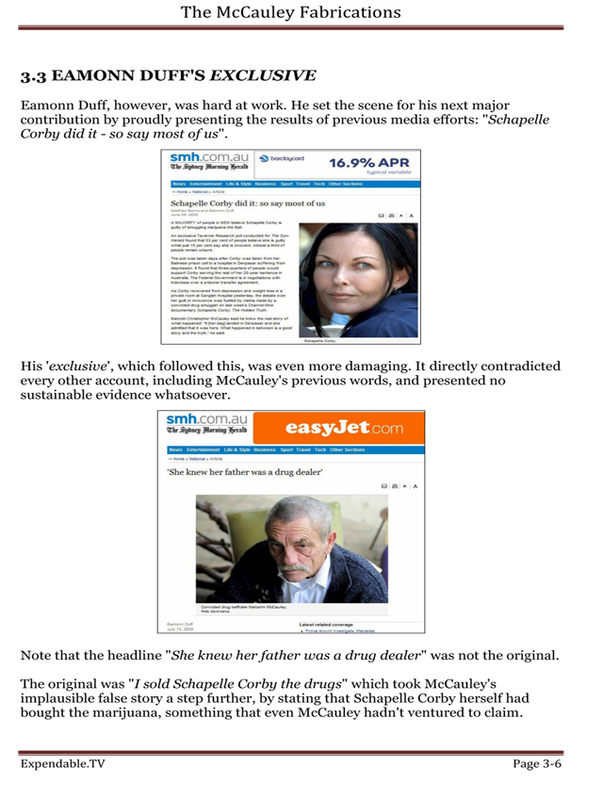 In fact the Corby family only found out in September 2011. Yet silence. 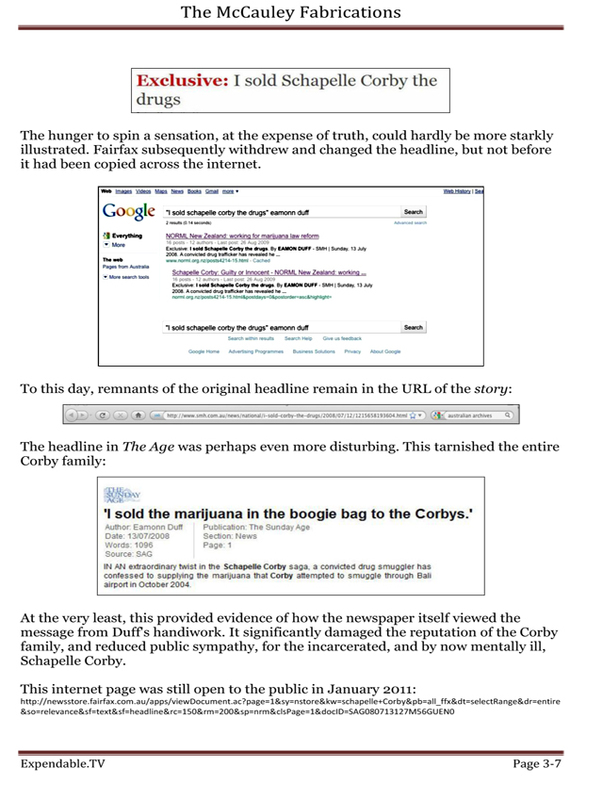 This sort of information, and a lot more like it, has never been published in the media. Instead, they run smears against a dead man, which fall apart as soon as the surface it scratched. Instead, they publish works of fiction, like Duff's appalling 'Sins Of The Father'. Here is why: look at how many Fairfax journalists are part of this network. 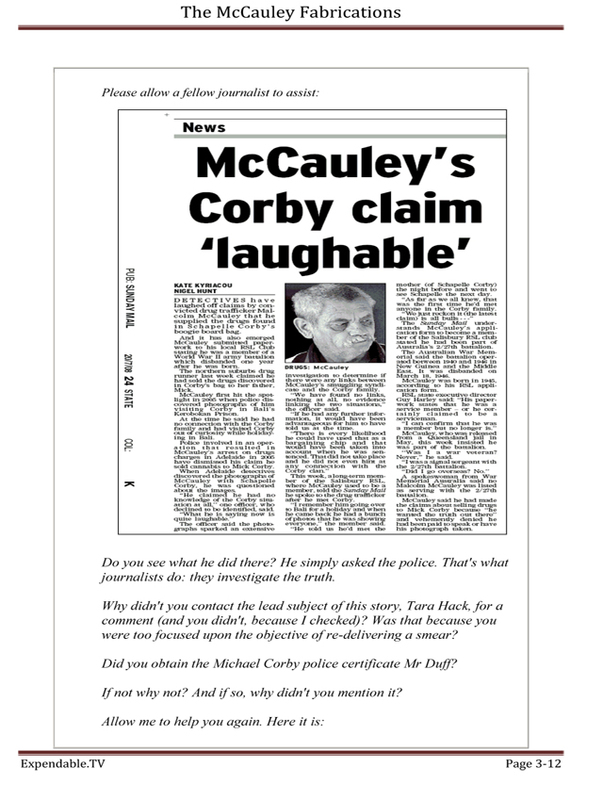 Read all about the wider media agenda, sponsored by the Australian government. How much money will you make out of this, Eamonn Duff? How much money will you make out of this, Allen & Unwin? Does the pain and suffering you are causing not even enter your heads? Let's hope that one day, justice catches up. 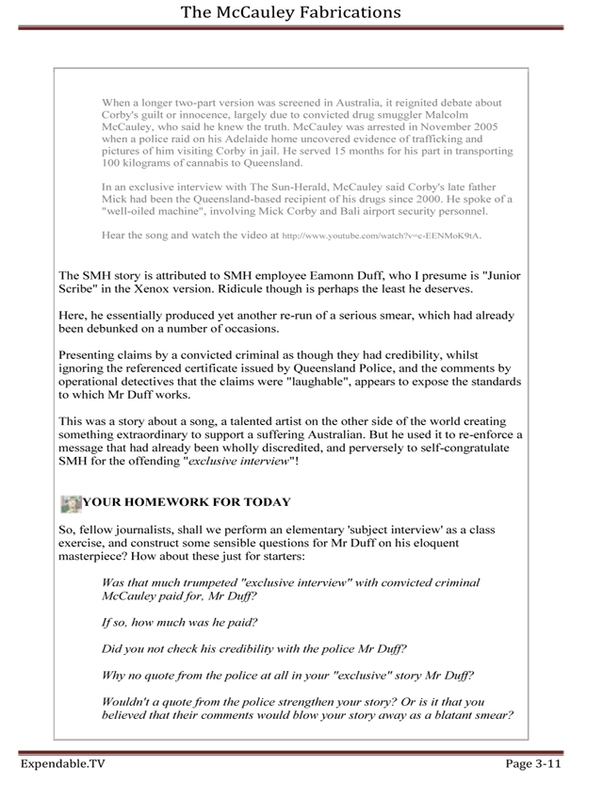 Let's hope that one day the truth catches up, and appears from behind the smoke which Eamonn Duff and Allen & Unwin are creating. 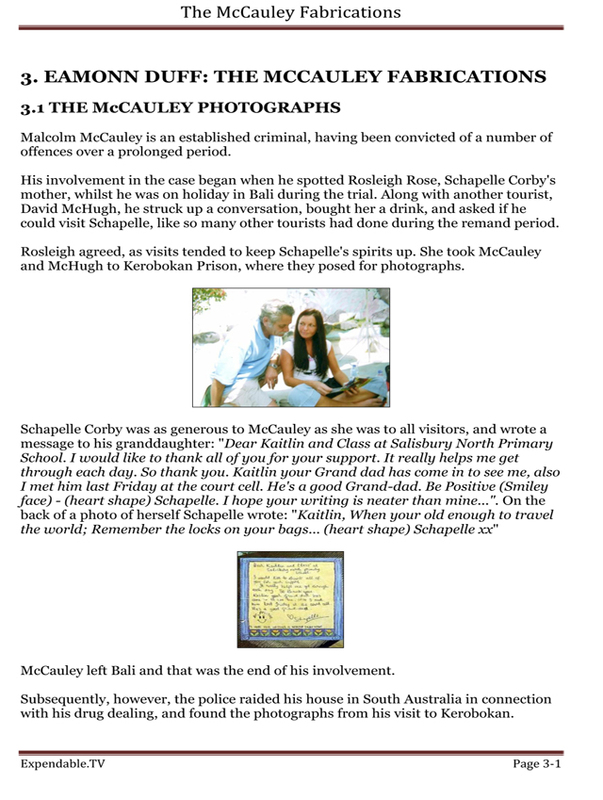 Let's hope that the innocent victim, Schapelle Corby, is still alive when it does.